Tubifrett Salmon Paste is a quality protein snack for ferrets. The ingredients are of a quality certified for human consumption and the composition and consistency of the paste have been specially adapted to meet the requirements of ferrets. The paste is the ideal supplementary food to cover your pet's daily vitamin needs and prevent taurine deficiency. It is free from colourings and preservatives, flavour enhancers and sugar. A high fish content makes it rich in polyunsaturated fatty acids, aiding and maintaining a healthy, gloΒy coat. Tubifrett Salmon Paste is easy to feed and loved by ferrets - the perfect aid for handling wriggly pets. 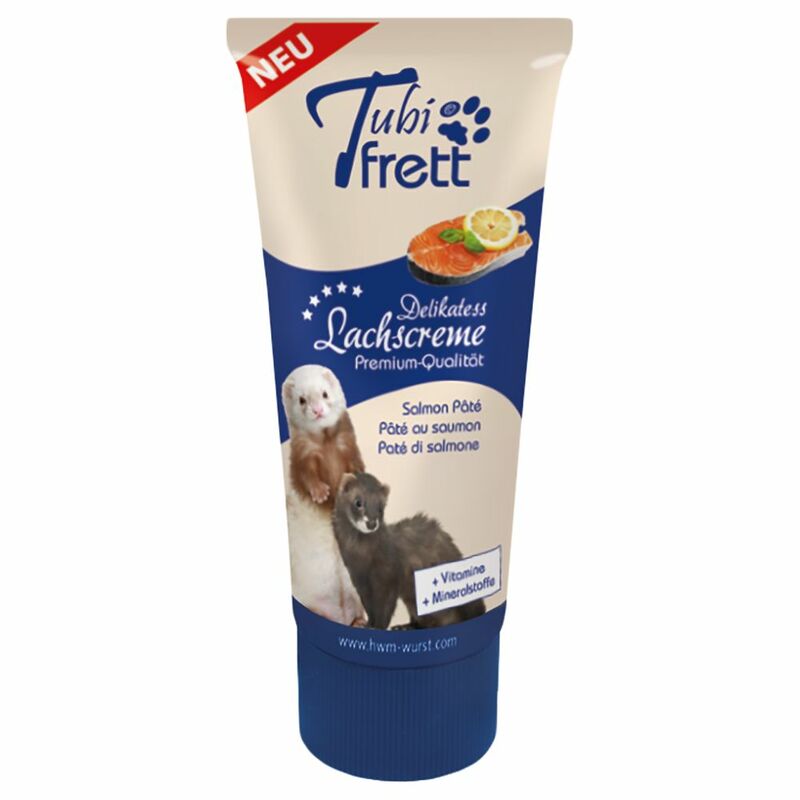 Tubifrett Salmon Paste makes coat care and visits to the vet a piece of cake! Developed and made in Germany. Price just £3.79! Click here to buy now!